The legend continues. 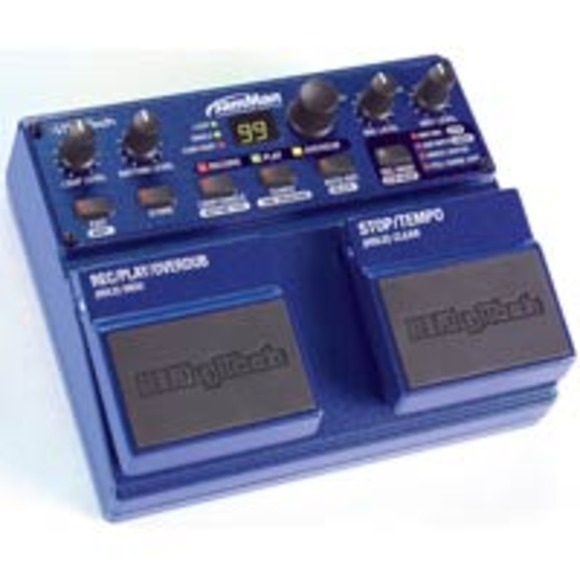 When we invented the PDS8000 pedal almost twenty years ago, it stored eight seconds of audio. Now we've reinvented it using removable CompactFlash™ memory to store up to 6.5 hours*! 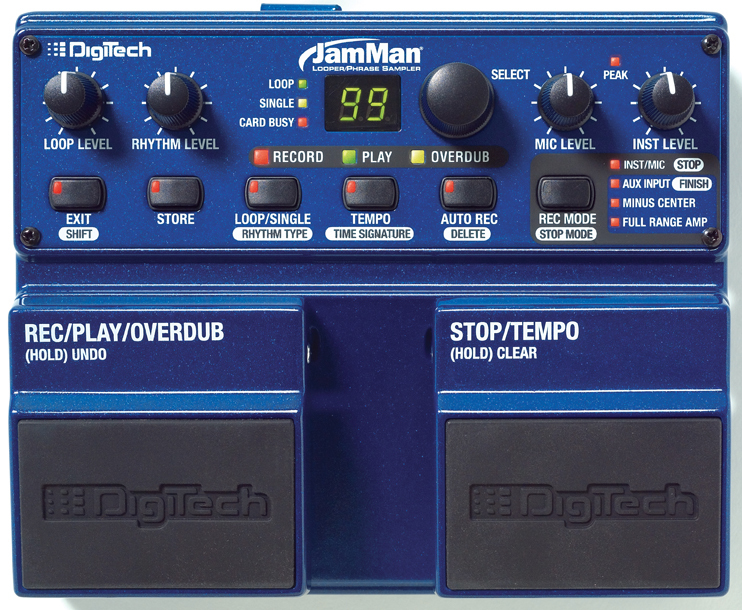 A wide range of features combined with ease of use make the DigiTech® JamMan® the perfect looper/phrase sampler for practicing, composing, and performing. The JamMan opens up new horizons to your musical explorations. Whether you're performing alone and building many parts to develop a song or play in a full band, the possibilities are endless! Is there a minimum length a loop has to be? Yes. 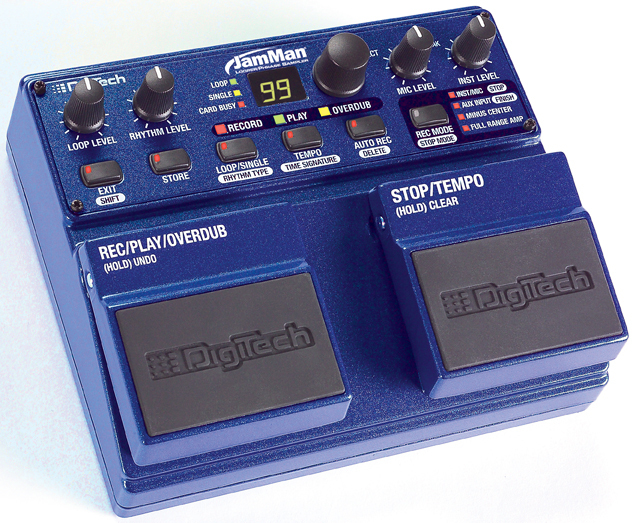 The JamMan Looper requires a loop be at least 3.5 seconds long. If a loop is shorter than 3.5 seconds, there will be gaps in playback. What must be done when importing loops from a computer to the JamMan Looper? 2).wav files must be MONO, not stereo files. 3) Create a folder in the JAMMAN drive that shows up when you plug in the USB connection, by right clicking, select NEW>FOLDER, and name the folder LOOP01, LOOP02, etc. Where do I find the serial # and model? The date code on the box is the serial number, such as DEC05. The model designation is JML. How do I import loops from another source? The audio format needs to be uncompressed .wav 44.1 kHz 16 bit mono; the file needs be named LOOP01, LOOP02, LOOP03, ECT. The wav needs to be named LOOP. 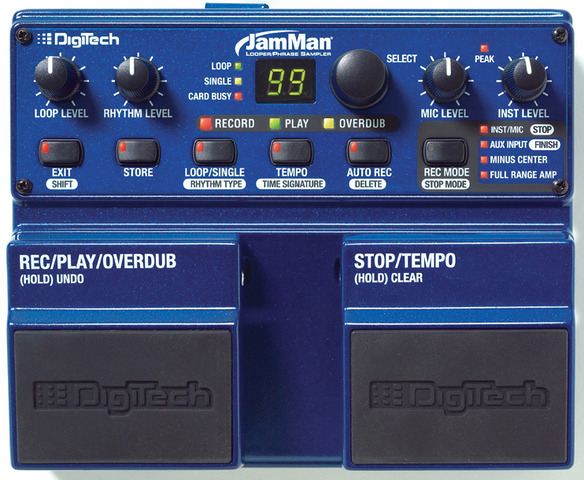 Record a loop on the JamMan, connect the JamMan to the computer, and double click on the JamMan folder, then double click on the LOOP01 folder or the folder of the loop # you created. At this point you will see the loop WAV file and the XML file right click on the loop wav file click properties, click the summary tab. You need to make sure that the wav file you are trying to place on the JamMan matches these Loop properties. The XML file is not needed in the loop01 loop02 loop03 ECT folder if you are placing loops created from another source onto the JamMan. The XML file is associated with the rhythm for loops created on the JamMan and is not necessary for loops created from another source. Does recording start when the footswitch is pressed or released? It records on the press the first time you record into a new loop location that has nothing stored into it. When you try to record (overdub) over an existing loop, it records on the release due to the Undo functionality. When filling out the warranty registration card to validate the JamMan warranty, please use the date code on the bar code sticker on the back of the JamMan box. For example NOV 06. Also be sure to hold onto your sales receipt for any future warranty work. The Loop must be at least 3.5 seconds long, if the loop is shorter than 3.5 seconds longs there will be a delay in playback while the audio data is stored to memory. If a tempo is not tapped into a loop location; recording will begin instantaneously upon pressing the Record button. Keep an eye on the Record LED located below the display, when this LED lights up the JamMan is recording, it is possible silence is being recorded.